This Bashful bunny is the softest, floppiest critter you'll ever meet. 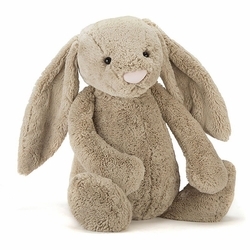 With its silky smooth fur and sweet disposition, you're sure to be in for a lifetime of luxurious cuddles. Hold on tight to their squishy body.